The 26-month prison sentence is tied to an eight-year scheme that involved 18 people and one corporation, the DOJ says. The scheme took place from '98-'06. A former Bank of America (BAC) executive was sentenced Monday to 26 months in prison after defrauding municipal bond investors and others, the Justice Department says. Phillip D. Murphy, a managing director with BofA’s muni derivatives group from 1998 to 2002, pleaded guilty to the charges on Feb. 10, 2014. He admitted to participating in multiple fraud conspiracies and schemes with various financial institutions and brokers from 1998 through 2006. BofA and other financial institutions served as “providers,” according to the DOJ, and “offered a certain type of contract — known as an investment agreement — to state, county and local governments and agencies, and not-for-profit entities, throughout the United States. Because of the schemes, various providers won investment agreements and other municipal finance contracts at artificially determined prices. Murphy also submitted intentionally losing bids for certain investment deals when requested and occasionally “agreed to pay or arranged for kickbacks to be paid to CDR and other co-conspirator brokers,” the DOJ adds. As part of the bid rigging, Murphy and his co-conspirators submitted numerous false certifications to municipalities and the Internal Revenue Service, which prompted some municipalities to award contracts to Bank of America and other providers “based on false and misleading information,” according to the Department of Justice. Along with Murphy, 17 individuals have been convicted or pleaded guilty as part of the municipal bonds investigation that was conducted by the Antitrust Division’s New York Office, the FBI and IRS. CDR Financial Products, also known as Rubin/Chambers, Dunhill Insurance Services, pleaded guilty to bid rigging and conspiracy-related charges in 2011. Murphy also pleaded guilty to conspiring with others to make false entries in the reports and statements originating from his desk, which were sent to bank management. When public entities raise money to fund public projects via muni bonds, they hire brokers to assist them in investing their money and to conduct a competitive bidding process to determine the winning provider, the DOJ says. 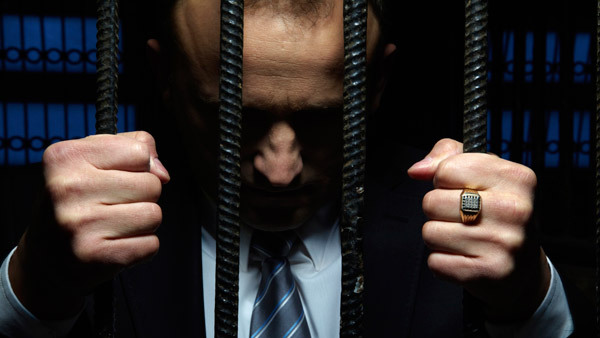 — Check out SEC Charges Ex-JPMorgan Advisor With Stealing $20M From Clients on ThinkAdvisor.